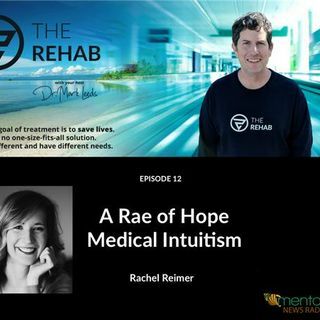 "My name is Rachel Reimer and I am a Medical Intuitive. I have the ability to see, hear and feel information from a person's name and a recent picture. It took me a while to figure out that not everyone could do this, and it has led me on my journey of becoming uniquely me. I provide spiritual insight to healthcare and/or mental health professionals on clients that want to know more about their health and/or are "stuck". These insights help clients understand possible ... See More physical, emotional or spiritual roots that are preventing them from better health. Additionally, I have personal clients that I provide spiritual insight to for possible emotional and spiritual roots that may be preventing them from better health." What happens when detectives cannot solve a case? Often, they turn to people with psychic abilities to see if they can find answers from the spiritual realm. What about when doctors cannot diagnose a patient? It is a fact that doctors do not have all of the answers. Sometimes, after being tested over and over and seeing every possible specialist, the final answer is, "I don't know". At that point, a Medical Intuitive may be consulted by certain physicians to get additional information. To find out more about what Rachel Reimer does and how to contact her, visit her website: www.myraeofhope.com.